With the recognition of Lao Minnesotan Artists by Governor Mark Dayton this month, Minnesota is gaining a new pulse. What jumpstarted it all was back in 2010 with Teada Productions’ Refugee Nation coupled with the Legacies of War exhibit of the US bombings in Laos. Both the theater production as well as the exhibit were set back-to-back with the Lao American Writers Summit which also brought writers from across the US to Minnesota that year. The collective minds of these artists have been molding what will be the Lao American Writers Summit next August 2013. 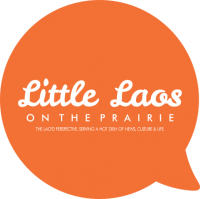 See the shout out to Lao artists in yesterday’s Star Tribune–with a particular mention of yours truly…Little Laos on the Prairie! people don’t have a lot of experience with web banners. have a lot of text.